Captive-bred and raised parrots are not domesticated animals. They are wild creatures — many of whom are only one or two generations removed from their native habitats. Even though the U.S. banned importation of most species of captured birds with the 1992 Wild Bird Conservation Act, many other countries continue to allow trapping and the export and/or import of wild-caught birds and many of the captive parrots now in homes and in adoption/sanctuary programs are wild-caught. As a result, many parrot species have suffered devastating and irrevocable depletion of populations. Habitat destruction and the encroachment of human development and consumption of natural resources are partly responsible for the numerous species at risk of extinction; however, recent studies have proven that poaching for the legal and illegal wild bird trade plays a far greater role in the global decline of parrot populations in the wild (Norris, Scott, “Sick As A Parrot,” New Scientist, Vol. 170, Issue 2294, June 9, 2001). While aviculturists argue that captive breeding will conserve parrot species by preserving the gene pool, the reality is quite the opposite. Domestic or captive rearing of exotic birds contributes nothing to save species in the wild. The vast majority of captive breeding occurs outside of official conservation programs and is not based on natural selection. Since parrot survival skills and social behavior are determined by generations of evolution and interaction with the flock and the environment and passed on by parents to offspring, the probability of successfully releasing captive bred birds into a species’ habitat of origin — assuming that habitat is still intact — is extremely minimal. 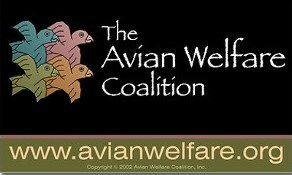 Moreover, the marketing of captive-bred birds increases the demand for birds as pets, thus increasing the incentive for legal and illegal trapping of wild birds for sale to private individuals who wish keep them as pets, dealers/brokers seeking cheap “inventory,” collectors, and aviculturists seeking genetic diversity for breeding stock. While a successful captive breeding and release program has yet to be developed for any parrot species, the AWC supports scientifically-based, bona fide parrot conservation programs undertaken by teams of experts in population genetics, ecology, animal behavior, habitat conservation and restoration, natural resource management, economics, politics, sociology, and all of the other fields that must be considered if such a program is to succeed. We do not believe that breeding for the pet industry in any way “conserves” an endangered species because it simply does not consider most of these critical ingredients. The pet industry — either purposefully or unintentionally — selects for “pet quality” physical, physiological, and behavioral traits rather than wild ones, as well as breaking the crucial chain of survival skill training from parents to offspring.